Frank Tabiete is one of the most incredible entrepreneurs. 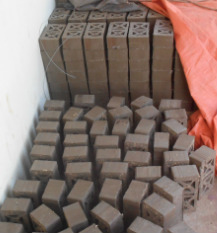 In 2001 he borrowed less than $200 to boost his brick-making business. 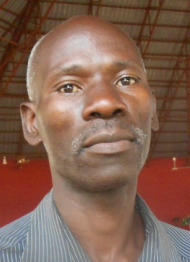 Today he is a business man (farm) and an employer, a TMP leader, a deacon and an inspiration. It was 2001. I was taken to his low-lying two acre lot. He was mining clay himself to make bricks by hand, using crude, but time-honored, brick-molds, to form one brick at a time. He and his family were living in a two-room structure, barely a house, dressed in their worn clothes. His church had just decided to try The TentMaker Project, and he filled out an application. 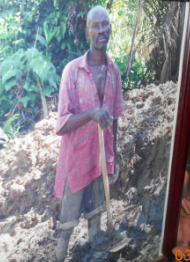 The next time I visited Frank he had several part-time workers making bricks for him. He had shifted to the selling of those that had been made and cured by his workers. He paid off the loan. His house was improved. His wife was well-dressed. A year later he applied for another loan (over $450) to buy a standardizing tool that makes every brick the same. He paid that loan off, and today his employees are keeping him busy supplying builders quality. cured (see video) bricks. Frank is a leader of a TMP support group in his church, a deacon. Two of his daughters have worked for him in sales. 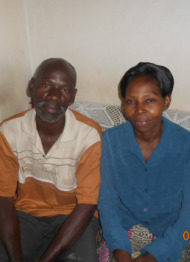 Frank and Nora have since filled their dreams of buying farm land to grow animals and food for another source of income and to provide for the senior years. We are so blessed to have been a part of Frank and Nora's success in business and employment of others. Above all, they fulfill I Thess 4:11: "Make it your ambition to lead a quiet life, ...and to work with your hands ...so that your daily life may win the respect of outsiders and so that you will not be dependent on anybody." We have dozens of success stories. Thank you for reading and considering joining our support partnership.